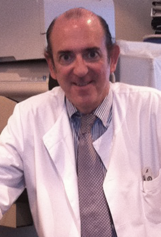 Dr. G. Marruenda is at Edif "El Triangulo" every morning and consults from 11.00 hrs until 14.00 hrs. For appointments please call on 952813515 or contact us throuh our contacts page. Established on The Costa del Sol since 1992 he has practiced Independantly in Private Practice within his speciality medically and surgically in Estepona Nueva Andalucía & Marbella and also at The "Santa Elena Clinic" in Torremolinos. Anterior Chamber problems: Conjunctiva, Scera, Corneal, Lens, Cataract, Glaucoma & Uveitis. Posterior Chamber problems. DMAE,Coroiditis, Vascular Oclusions, Degenerative Lesions of the peripheral Retina Retinal detachments and other Retinopathies. Neuro Ophthalmological examination functional computerised perimetry. Cataract Surgeru by Facoemulsification Technique. Refractive correction Surgery with Excimer Laser Technique. 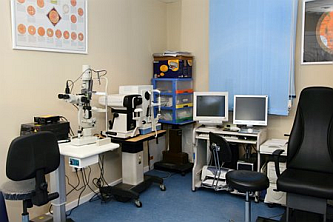 Diode Laser Treatment for Retinal Detachment and Diabetic Retinopathy. Treatment of DMAE with angiogenic agents. Ambulant minor procedures will be carried out under local anaesthesia at Calle Califa the registered premises of "marbella-medical-and-dental.com. 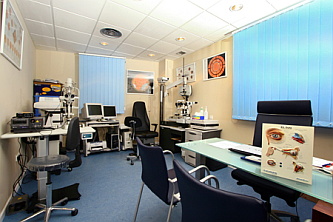 Major procedures are carried out under local or general anaesthesia at "Santa Elena Clinic" in Urb. Los Alamos Torremolinos.